One of the most popular muscles to train is the biceps. Everyone, whether a gym enthusiast or not, admires those well developed “guns” when a big muscular guy approaches them. For some, the biceps are the perfect indicator to the physical prowess a person possesses, which is somewhat a correct assumption. Have you ever tried climbing a rope? Try and you’ll observe that the primary workers in the movement are your arms. Same goes with the chin-ups. You need to develop strong, well developed biceps, no questions asked. That’s why you should always be on the look out for good information to develop these coveted muscles. But once you get on the Internet and check for all the various fitness websites to do so, you end up being confused as well as contradicted. See, many ‘gurus’ have developed their own theories about how you can maximize your bicep size and listening to each advice would get you nowhere. You won’t get the desired results. In this article, we will highlight some tips to build mind boggling biceps and if you follow them religiously, the satisfactory results won’t let you wander of into confusing foreign territories anymore. You’ll be hooked to your arm training sessions forever. Mind Muscle connection is every Bodybuilder’s favourite term. Ask anyone of them about their arms and the answer would be same. Mind Muscle Connection. This term means nothing else than the fact that you should concentrate deeply on the muscle you are training during a set, so that your mind activates the muscle you are training. Arnold Schwarzenegger famously said that he imagined his biceps were giant mountains whenever he was curling the heavy iron. His imagination was so powerful that it gave him the motivation and the mental fortitude to develop well conditioned 21 inch arms, which the world had never seen before. You must always feel the movement of your arm when it’s under tension. See how it reacts towards the resistance you are providing with each repetition. This concentration would definitely help you achieve the Pump, which is the most critical element of biceps training, period. Movements like the concentration curl and the preacher curl should precede the heavier movements like the barbell curl. Barbell curls and Dumbbell curls tend to engage the shoulders and lats heavily. That’s why pre fatiguing the biceps with isolation movements would help you to engage the biceps more efficiently in the heavier movements as they are already warmed up and ready to take charge. Biceps, being a small muscle group, can take a beating more frequently than the bigger muscles like your chest and legs. They can handle a lot of volume without any problem. Your biceps recover quickly from intense sessions and you may train them with over 10 sets multiple times per week. Biceps respond better to 10-15 repetitions or pump training than the old fashioned 4-6 rep range. That being said, heavy weights are a part of bicep training, but that is at the end of an exercise, mixed in with the drop sets. Barbell curl is a really effective mass builder and you can really load the bar on this one. This may affect your wrist health and you might find yourself in some trouble in the future. That’s why the EZ or the zig zag bar is a great alternative to the conventional bar. 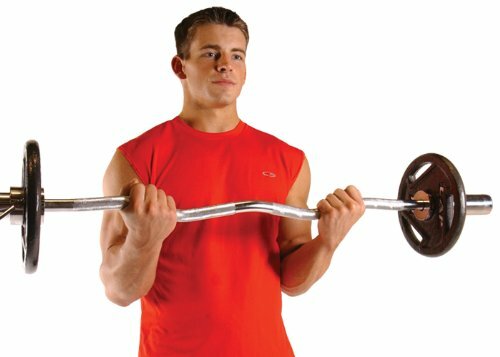 You can concentrate more on the inner biceps using this bar. Secondly, your wrists also come in handy when you perform the dumbbell curl. You get more stimulation when you flick your wrist side-wards on the top of each repetition and hence a better pump. 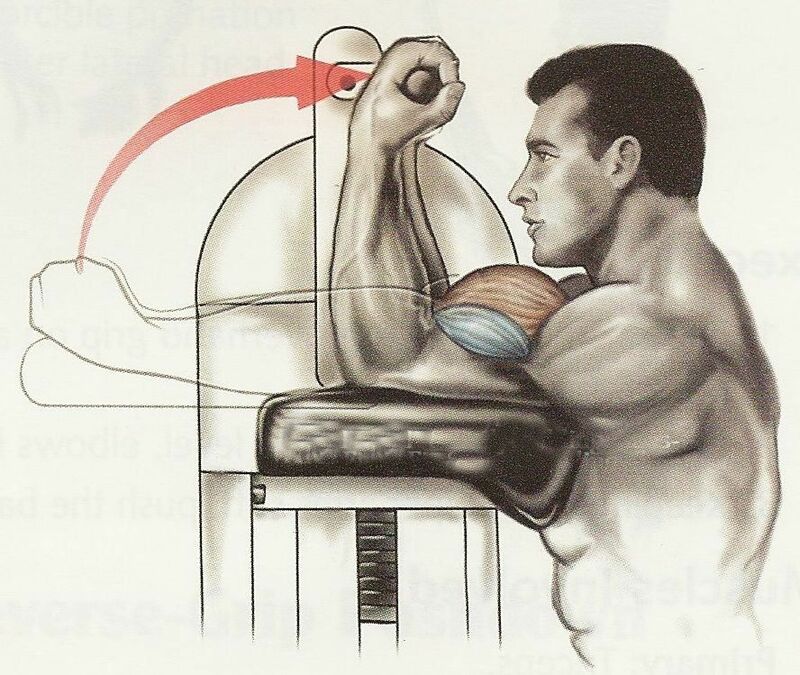 This wrist flicking action can be done on the concentration curl as well, to develop a higher peak in the biceps. Don’t get overboard with the weights here. Keep the repetitions clean and precise. Don’t jerk around with your body weight right from the beginning of the set as you get minimum bicep engagement from carrying out such a movement. However, cheating when you can’t squeeze out another repetition at the end of the set is highly advisable as a little involvement is definitely better than nothing! Focus on exercises like the chin-up, the seated row, the reverse grip bent over row and the T-Bar Row in your back routine and perform them with heavier weights to get a lot of bicep stimulation. Buddy Sets: In this you and your partner select an appropriate weight and continue to get in set after set by passing each other the weight after you are done, hence never dropping it until your biceps are completely fried. Supersets: Complete one set of an exercise and move on to the next one without resting. Drop sets: Start with a very heavy weight. Complete a few reps with this weight and then strip down the weight to get some more and I would suggest you continue the process until the bar is empty. You may also want to try finishing your workout with this: Take an unloaded bicep barbell and perform quick 100 repetitions with it. Sounds easy but it’s actually one of the most brutal things you can do to your arms. Your biceps would be left writhing after this finisher. Previous articleHow Many Calories Are There in a Fafda & Does It Have Any Health Benefits? Next articleHow Many Calories Are There in a Khakhra & Does It Have Any Health Benefits?